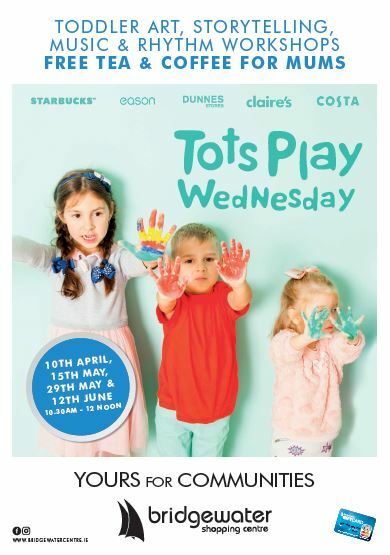 Join us on Wednesday 10th April for the first Tots Play Wednesday at Bridgewater Shopping Centre. Each Tots Play Wednesday is a free, open event for Parents & Toddler to enjoy Art and Crafts, Storytelling, Music Workshops exploring rhythm, melody, tonality and beat. All Classes are led by two professional art and music specialists. Tots play Wednesdays will be located on the second floor (previously the foodcourt). We will also be providing free tea and coffee for Mums. 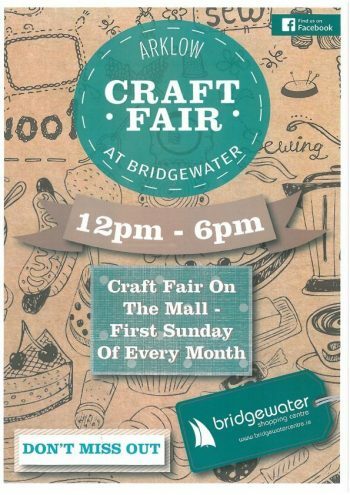 The perfect opportunity to get out of the house and have a coffee and catch up with other Mums while your little one enjoys some entertaining arts, music and stories.